Hatfield House is the home of the 7th Marquess and Marchioness of Salisbury and their family and has been in the Cecil family for 400 years. The house dates from 1611 when, Robert Cecil, 1st Earl of Salisbury built his fine Jacobean House adjoining the site of the Old Palace of Hatfield. The house and gardens are open to the public and this view shows the North Front with the main entrance to the house. Photography within the house is prohibited. Old Hatfield is considered to be the area south of Hertford Road and east of the Great North Road. 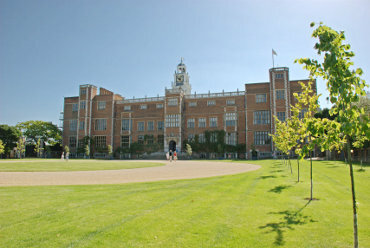 Old Hatfield grew up around the gates of Hatfield Palace on the Great North Road and is now adjacent to Hatfield House. 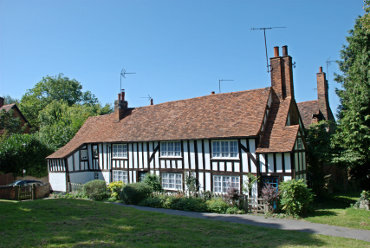 The village, developed as homes for the workers of the Palace and later for Hatfield House Estate, has changed very little over the centuries. 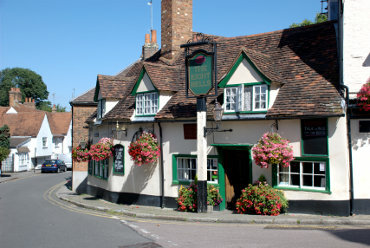 The more modern part Hatfield grew throughout the 20th Century however and, apart from shopping, there is little of interest in the modern part for the tourist. 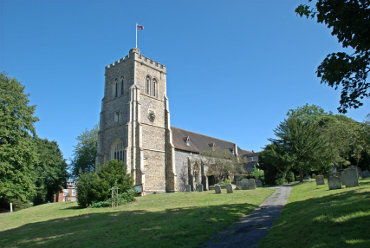 The church of St. Etheldreda in Old hatfield dates from the 13th century although many alterations have been made since then such as the addition of the 15th century tower. The church is next to the Hatfield Estate. These 16th century timber-framed cottages are adjacent to the churchyard of St. Etheldreda's Church in Old Hatfield.